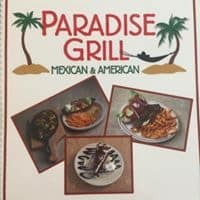 Paradise Grill offers a delicious variety of home-cooked style meals, including dishes from American (traditional), Latin American, and Mexican. Paradise Grill prides themselves with their excellent customer service. Luis Santos is their Head Chef, “Chef Extrodinairo”. 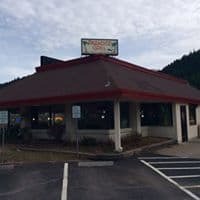 They have been in business for 6 years and are consistantly told that they have the “Best Burgers in Quincy” along with taquitos and burritos. Salads are fresh and the ingredients are purchased from the local Farmers Market. You can make reservations or just walk in. 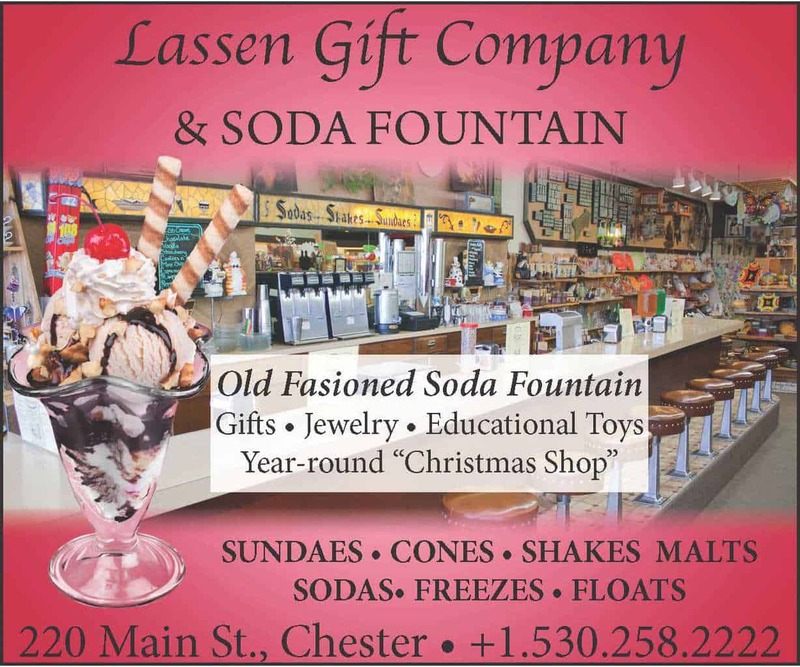 They also do take-out, catering, and will make special orders for items not included on the menu. 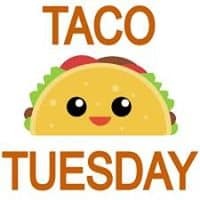 Stop in for Taco Tuesdays or Prime Rib served Fridays & Saturdays. Paradise Grill is open Monday through Saturday 8am to 9pm. Come in hungry, leave happy. The Paradise Grill also has a booth at the Quincy Farmer’s Market every Thursday. 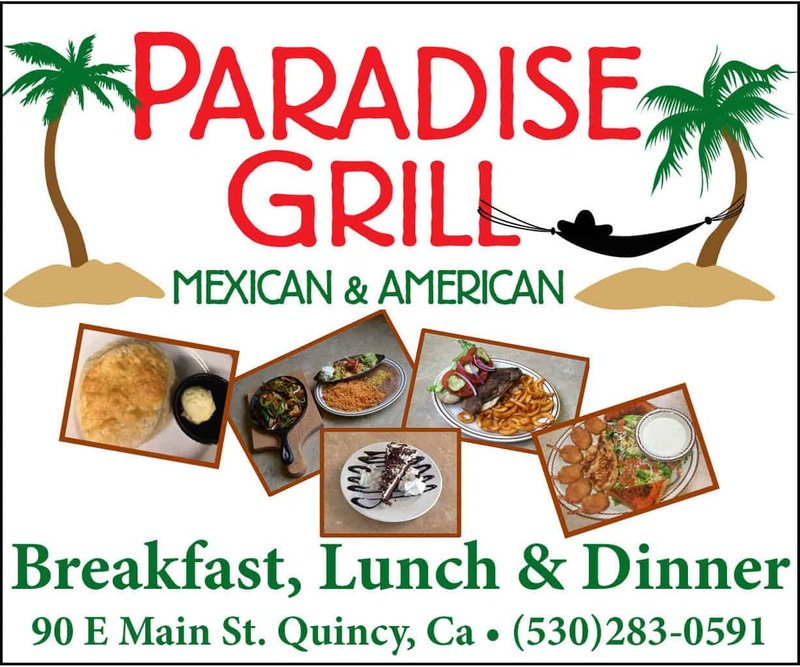 The Paradise Grill is located at 90 E Main St, Quincy, CA 95971. 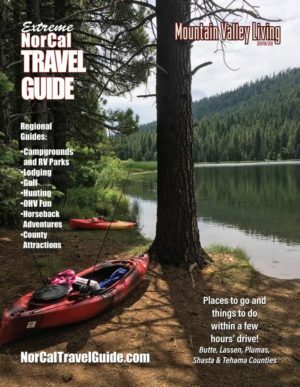 Call +1(530)283-0591 for reservations, or visit them on the web at https://www.facebook.com/paradisegrill/. 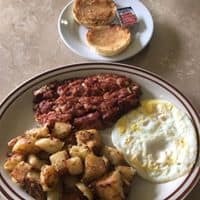 There are so many delicious options to choose from such as pancakes, waffles, french toast, omelets, or the traditional sausage, eggs, and your choice of potatoes. There many more choices if you take a peak at the menu. Click here for menu. 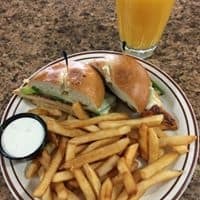 Start with an appetizer, or just dive right into a juicy burger or sandwich, if you can decide what to order between all of the tasty choices. Every table gets a basket of chips, salsa, and beans. Click here for menu. 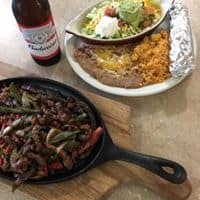 All combination dinner dishes are served with rice and black or pinto beans, sour cream, guacamole, and your choice of meat. 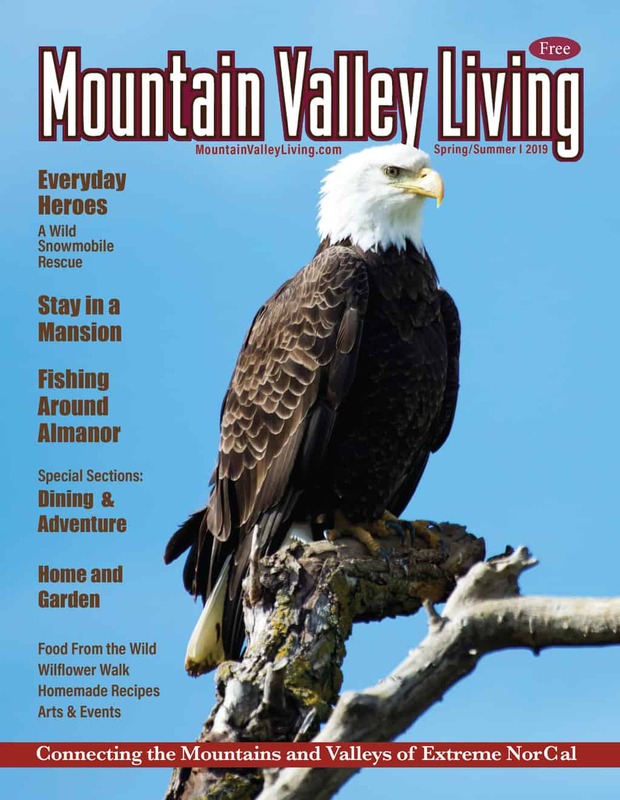 All classic dinners are served with mashed or baked potatoes, steamed vegetables, garlic toast, and soup or salad. Click here for menu. Here comes the the fun, I hope you saved room for dessert! 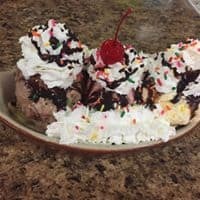 Choose cheese cake, a slice of pie, milkshakes, sundaes, or maybe even a banana split. Add your choice of chocolate sprinkles or rainbow sprinkles, and chocolate or strawberry syrup. Click here for menu.